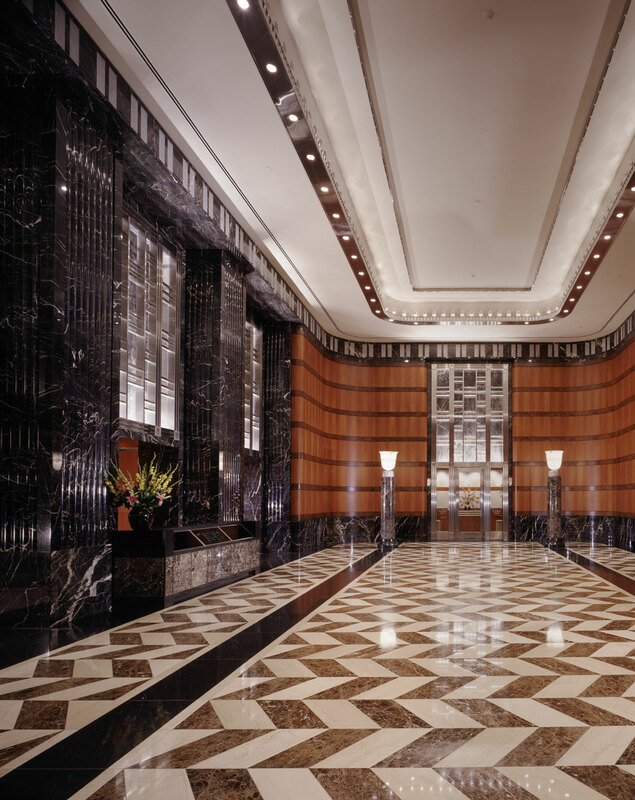 400 West Market is a 633,650-square-foot tower, which contains 18,787 square feet of retail space and an adjoining five-level garage. 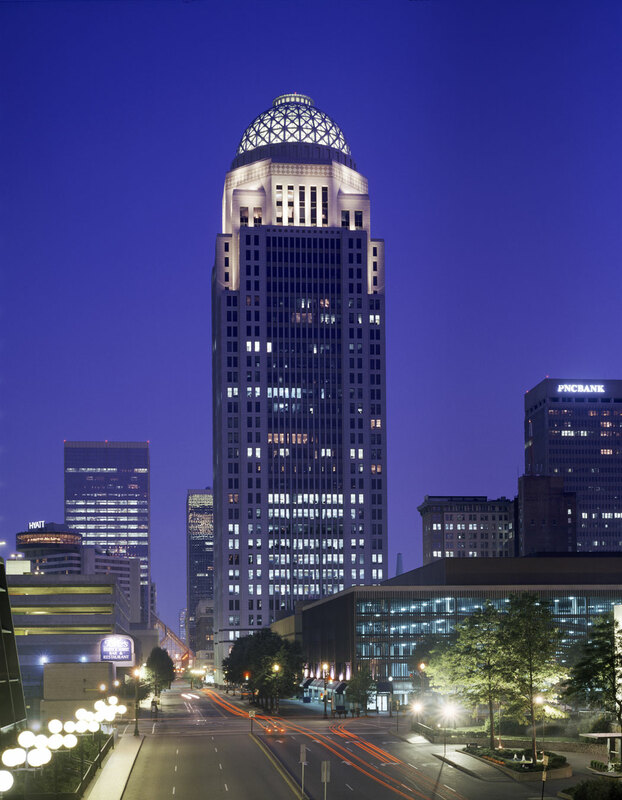 The carved granite surfaces of 400 West Market ascend 35 stories to a dramatically lit Romanesque dome, establishing a strong architectural identity and a commanding skyline silhouette as Kentucky's tallest office tower. A special feature of 400 West Market is its half-acre plaza, which is paved in patterned granite and features decorative lamps, plants, flowering trees and four fountains. 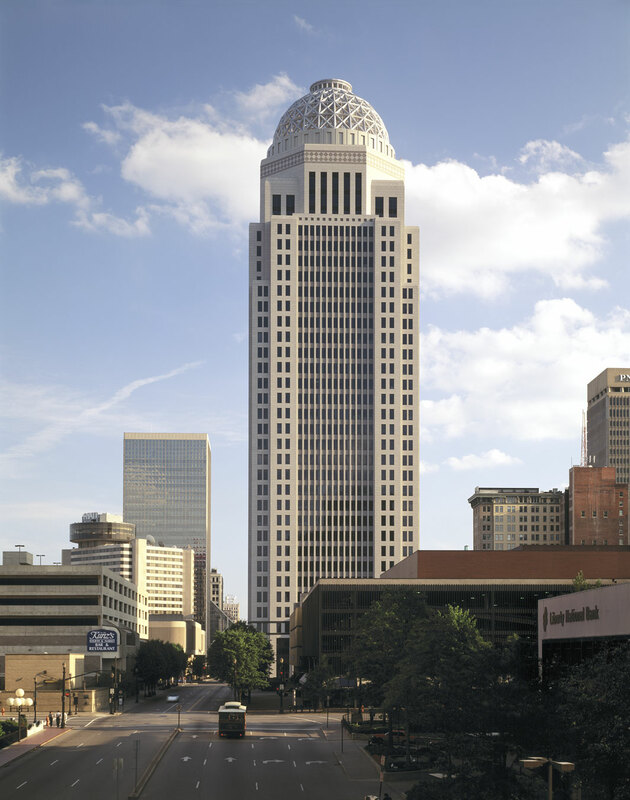 400 West Market was completed in 1993.